Why use Garfield Heights, OH Property Management company? Why use a Garfield Heights, OH Property Management professional property management company? Consider the following. You can feel secure as you use our Garfield Heights professional services which work as a system to protect you while maximizing your return on your income property. Landlord clients have reduced risk with our leasing and tenant guarantees as well as our easy out contract. Save money and get your house rented fast with our professional videos, pictures and descriptions being exposed on 100s of websites and way more. Realty Trust Services 7 point screening process gives landlords the best possible chance of getting a great tenant. Rely on our knowledge to most efficiently prepare your house for rent and select an ideal rental rate. Landlords can rest easy, and get an uninterrupted night’s rest, knowing our 24 x 7 take that midnight call and dispatch help as necessary. Be in the know and head off potential problems before with exhaustive property walk through video reports. We handle all bothersome collection and emotionally draining collections calls so focus on family and business. No stress this year when you prepare your taxes because all of the reports will be neatly delivered with your 1099. You have the option to lease, rent to own, and / or sell your home, simultaneously, if you desire. A vacant property is required to be registered, you must complete a rental registration and you must submit a registration of owner’s agent with the rental registration. The tenant is required to complete a rental registration. Please refer to the link http://rtsl.us/psrw with regards to the occupancy certificate. The cost for a single family dwelling registration is $100.00 and the cost for a two family dwelling registration is $125.00. The registration will need to be renewed every January. If you are registering partway throughout a period, the fee will be a prorated amount. The city will send out renewal requests/reminders. If you fail or forget to register the city will send a registration request via registered mail and if still no response to the request, the city will proceed with court actions. On the initial first year, you are required to have an interior and exterior inspection but every year after, you are only required to complete an exterior inspection. The city would like the owner or the representative of the owner to meet with the property inspector. On a vacant house, the city will go in with a lockbox. Cuyahoga County Auditor contact information is 216-443-7010. Rental of single or multi-family homes require owners to register the property, identify the occupants and schedule inspection of each unit. The fee is $100 for the first unit and $25 for each additional unit. Links to the city website are http://www.conwaygreene.com/garfieldhts/lpext.dll?f=templates&fn=main-hit-h.htm&2.0 and www.garfieldhts.org. The telephone number to the city for further information is 216-475-3835. Link to property information form http://rtsl.us/pss0, and the link to the rental application is http://rtsl.us/psrz. Also, further contact information for the city of Garfield Heights is: Phone: 216-475-1100, Fax: 216-475-1124, Email: edolph@garfieldhts.org – person who handles this email address as of 6/20/14 is Eloise. Garfield Heights is a city in Cuyahoga County, Ohio. As of 2012, the estimated population is 28,454. The population density is 3.990.2/ sq mi. Garfield Heights has a land mass of 7.23 sq mi and a water mass of 0.06 sq mi. 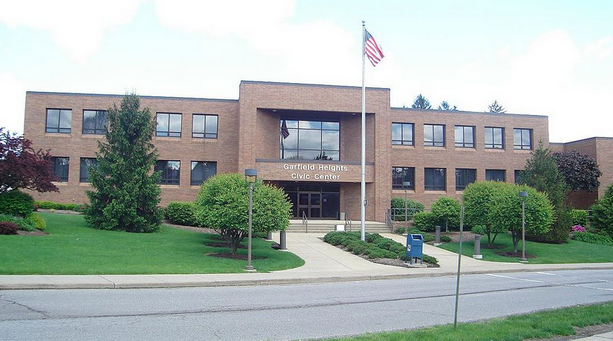 Its elevation is 955 ft. Garfield Heights has three zip codes: 44105, 44125, and 44128. The current mayor is Victoria Collova.